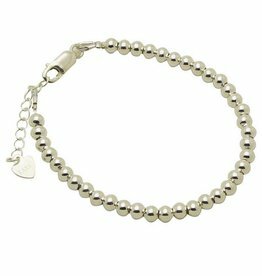 All mum bracelets are made of Sterling Silver. 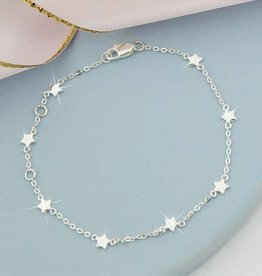 Silver Infinity Mum Bracelet "A Child"
.925 sterling silver bracelet with little stars. 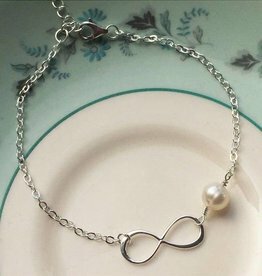 Life doesn't come with a manual. 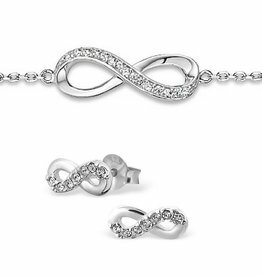 It comes with a mother. 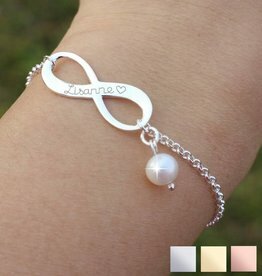 Mother is the name of God on the lips and hearts of little children. 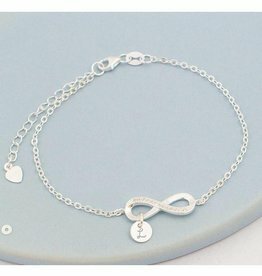 So, we have brought for you all a complete unique gift to give your mother; "Silver Mum Bracelet" which is hand engraved and made up of pure silver which fulfills the love of a mother from her glorious daughter. 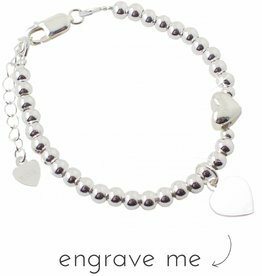 The go-with-everything' design will become a cherished gift once perfectly engraved with your words. 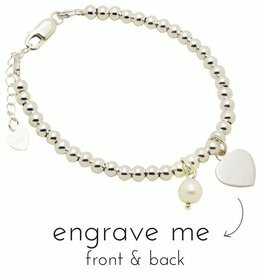 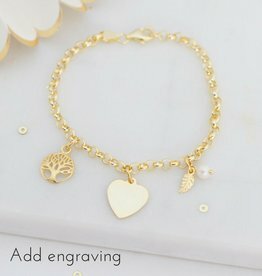 Do you like to wear a pretty bracelet with just one charm, or do you prefer a personal engraving? 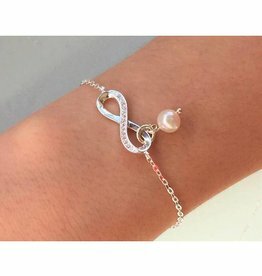 It’s completely up to you! 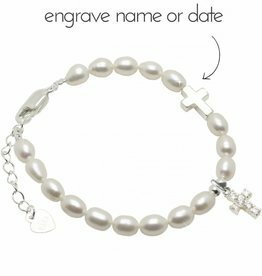 We offer a huge selection of pendants and charms on which we engrave the name of your choice – once or multiple times. 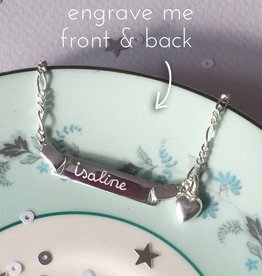 We’ve got charms on which we engrave the name just once. 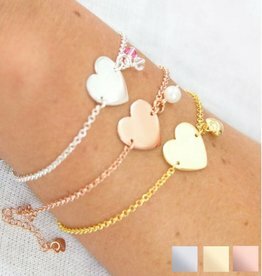 These charms come in various shapes, such as a circle, heart, star, four-leaf clover, flower, euro sign, sign of Venus, and sign of Mars. 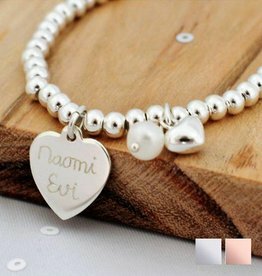 Or how about charms that show your favourite animal or pet and your name? 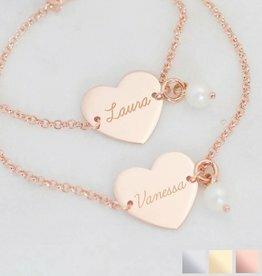 We also have charms shaped like a heart, circle, flower, bear’s head, cat’s head, bird and butterfly; there we engrave your name multiple times. 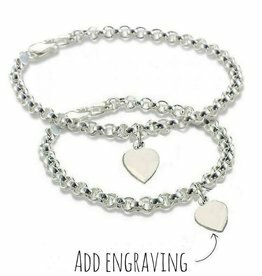 Our Mothers Bracelets are the perfect personalized gift. 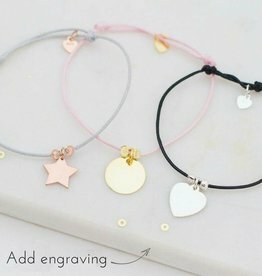 Create a bracelet completely unique to you. 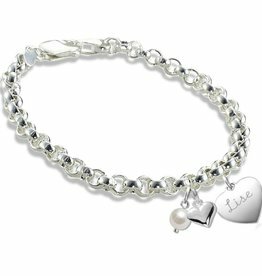 A lasting reminder of the little angels in your life. 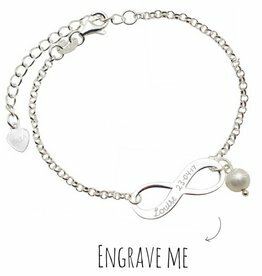 These bracelet features first initials or engravings, combined with real .925 silver. 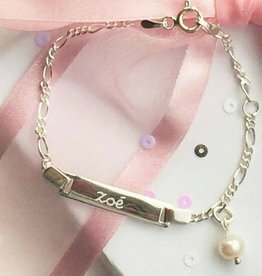 Create a beautiful mothers bracelet with your childrens' names in high-quality designs. 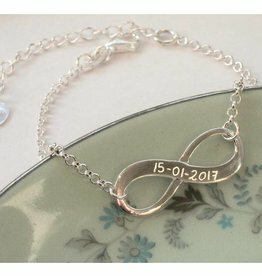 We make beautiful jewelleries to remember special moments of your life. 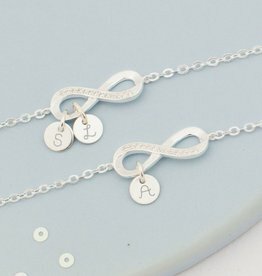 We design personalized baby bracelets that celebrates the special love and connection between a mother and her kids. 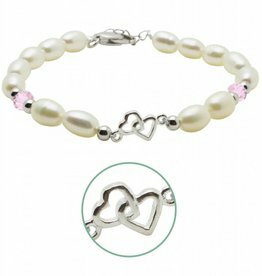 The mother and daughter bracelets set an adorable way to show your daughter how much you love her. 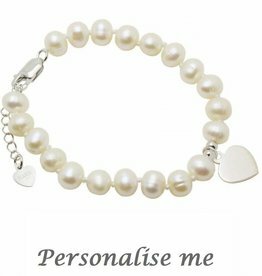 Our Mother daughter Bracelets are made up of freshwater pearls, with Swarovski crystals and silver.